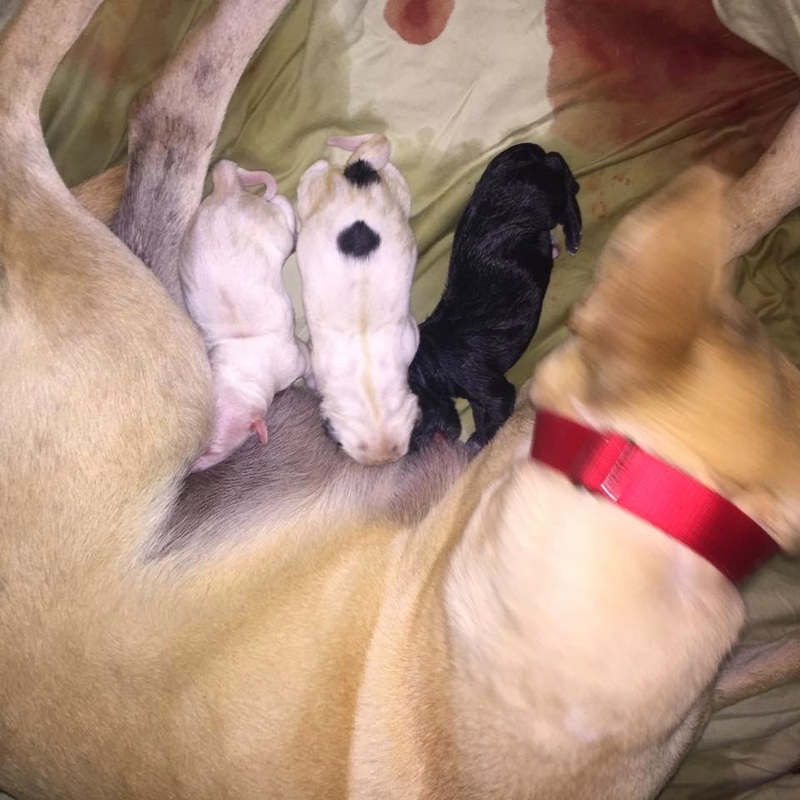 First Look at Olivia’s Puppies! And that means kitten & puppy season is upon us! Don’t believe me? 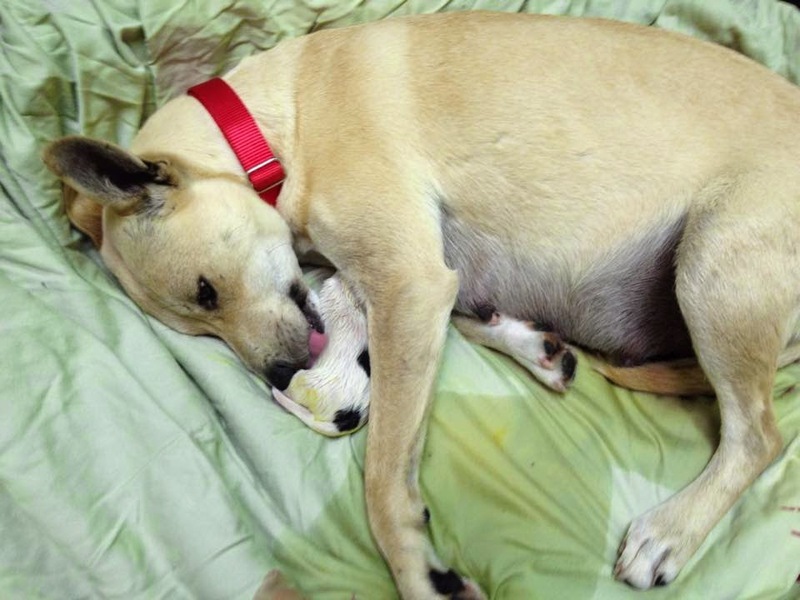 Take Me Home Pet Rescue (TMHPR) has an explosion of kittens & now puppies! Our pregnant Mama, Olivia, gave birth last night! We knew she wasn’t her normal self yesterday. She didn’t want to go outside for her normal walks and you could tell that she wanted to relax in the cool of the Isolation Room. 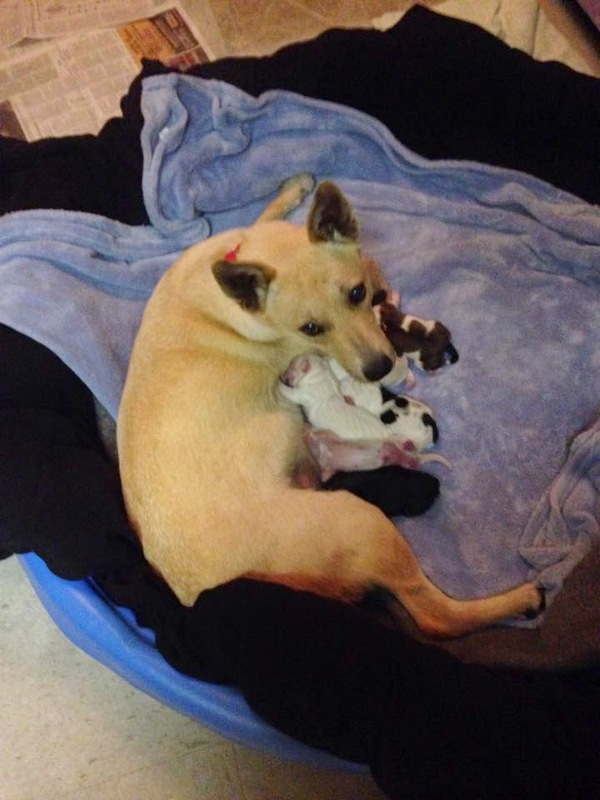 By early evening, she began giving birth to her tiny puppies. Once our volunteers got the news, they were there by sweet Olivia’s side to make sure all went well. First we had this little domino puppy with the two black spots on his back. Then a black puppy, a white puppy . . . and on it went. And in just a matter of hours Olivia had six little ones all clean and nursing. Three girls and three boys make up her little family. Aren’t they just adorable! A HUGE thank you to the volunteers who stayed with Olivia during the birth. We are thankful that Olivia has had the time to get to know our volunteers and trust them with her babies. And another HUGE thank you to our fosters who stepped up and took in the other puppies that were at the center. Taking those babies in allowed Olivia to move from her run into the Isolation Room where she could have a calm, cool and quiet atmosphere to give birth & recover. It takes a village and at TMHPR we have a FABULOUS village who love and care for both the cats and dogs. We are looking for a few more volunteers to join our “village”. If you have a love for animals and want to give back to the community, please fill out our Volunteer Application on our website. We would love to get to know you. If you would like to donate to the help cover the cost of the vetting & feeding of these new puppies, please visit our website. The Donate button is in the top right corner of the home page and allows donations to be made thru PayPal. All amounts are greatly appreciated.